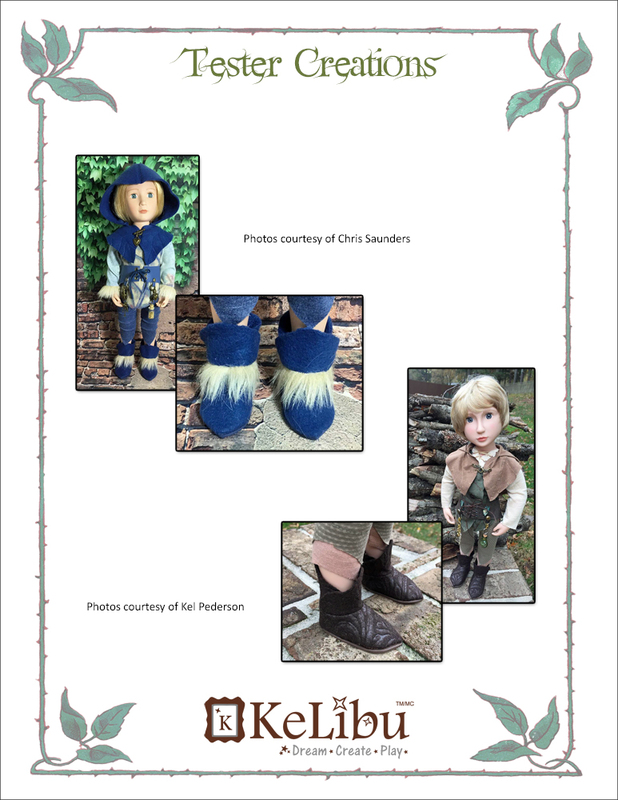 This digital doll clothes pattern will let you sew adorable boots for your A Girl for All Time® doll. 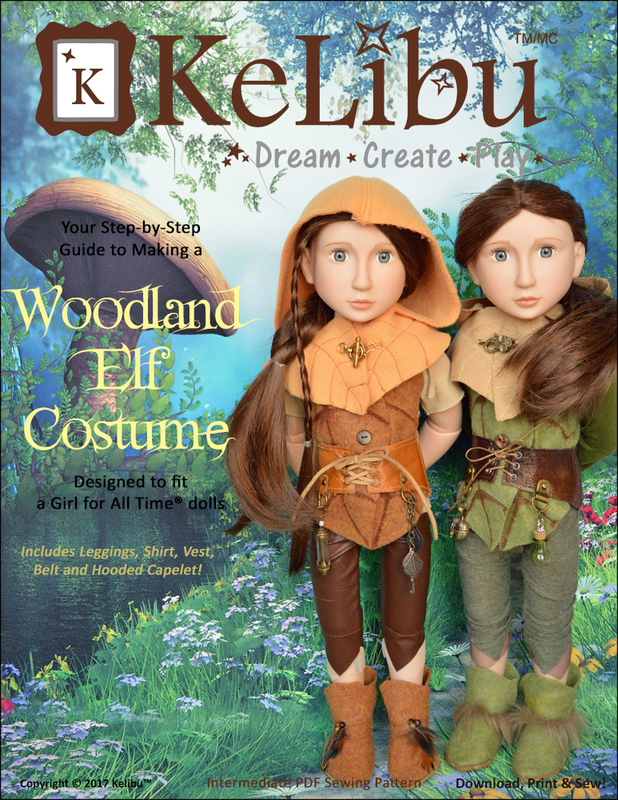 This PDF pattern will allow you to easily make a pair of beautiful Woodland Elf boots for your A Girl for All Time® doll. Choose greens and browns for a spring/summer look, warm oranges, browns and yellows for an autumn feel or white and grey for a winter feel. 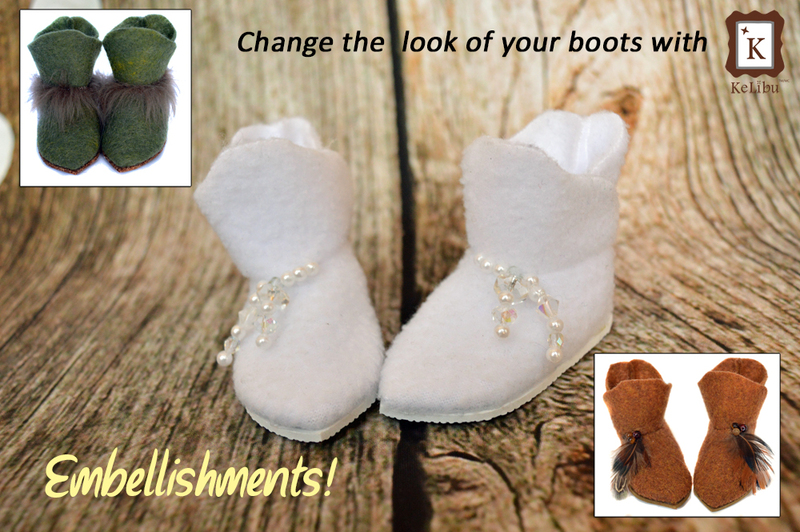 Embellish them with faux fur, beads or feathers! 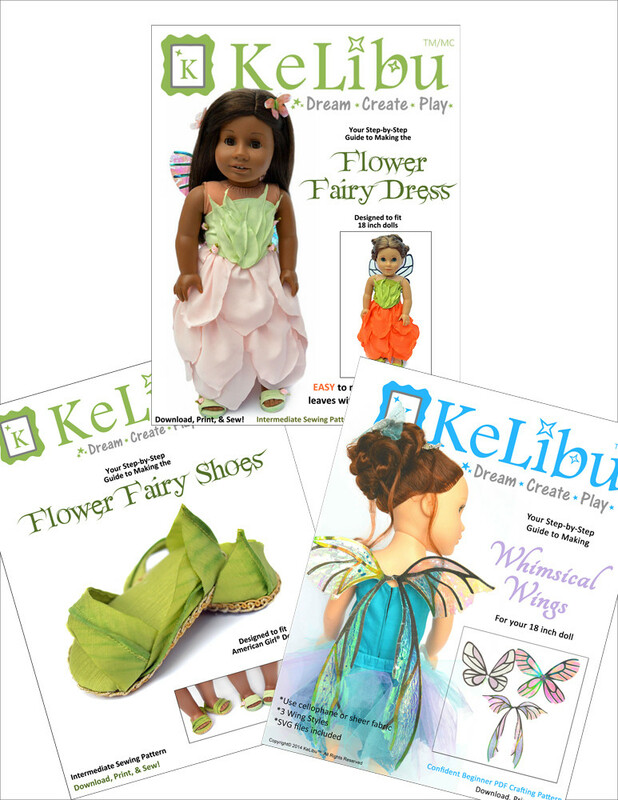 These shoes coordinate with other KeLibu patterns designed to fit AGAT dolls. 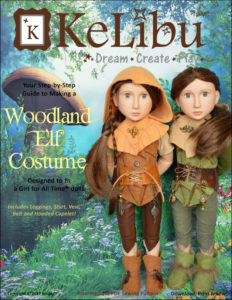 Optional – 41/8 inch by ¼ inch faux fur, beads, feathers etc. 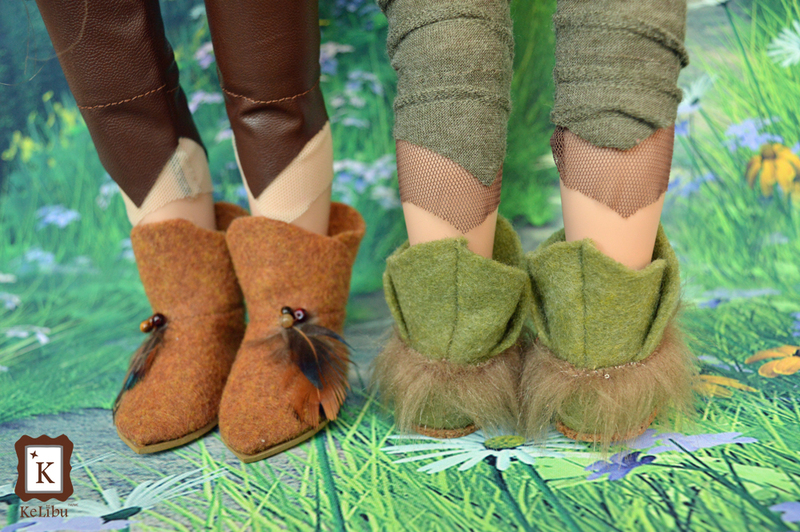 Answered by the admin I don't have a BFC doll so I can't try them on but...the AGAT feet are 6cm long and 2.7cm wide so I think there is a good chance they would fit. 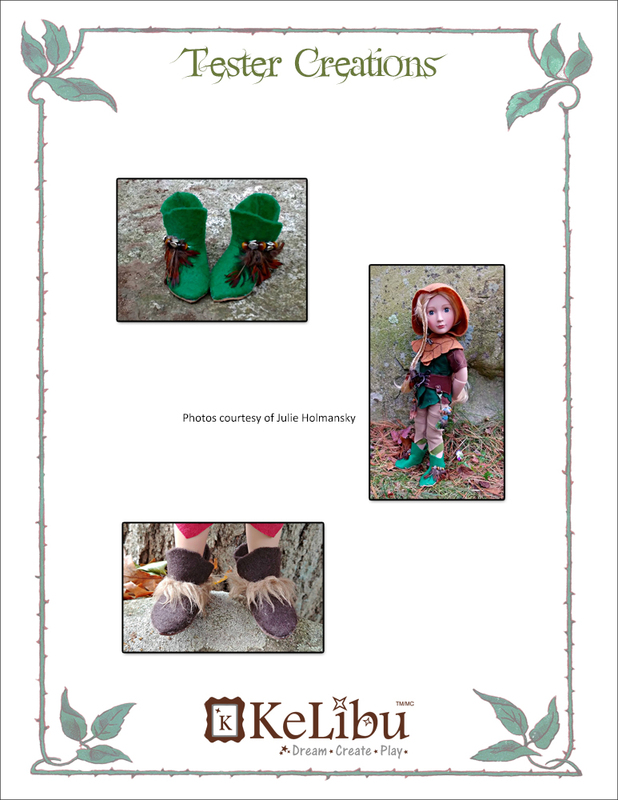 Especially since they have a pointed toe and are made of felt (which stretches slightly). You may need to make a slight adjustments to the length of the sole and then you could just add a touch (maybe 2mm?) 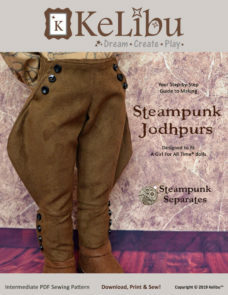 to the centre back seam allowance of the boot upper to accommodate the change it the sole length. Answered by the admin Hi Feriba. 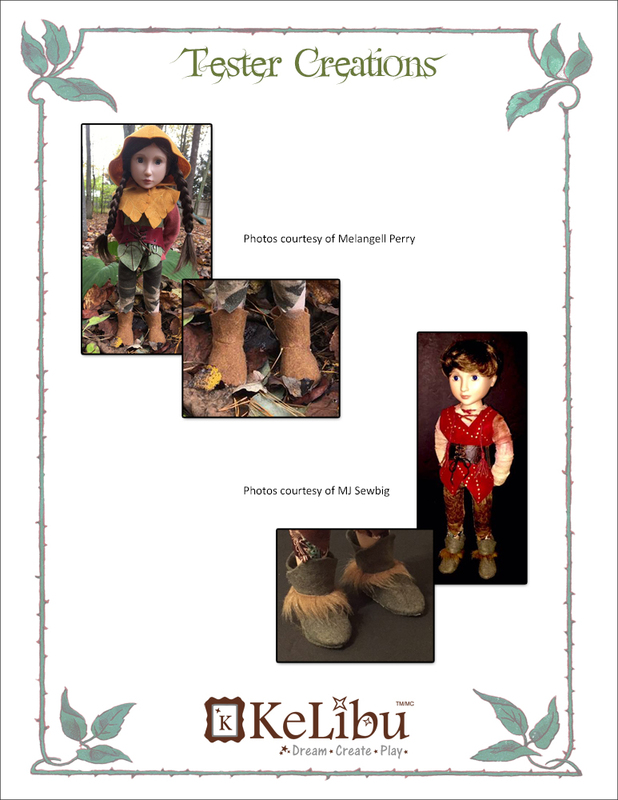 AGAT dolls and Maru & Friends dolls have nearly identical feet. So these boots would also fit Maru dolls. 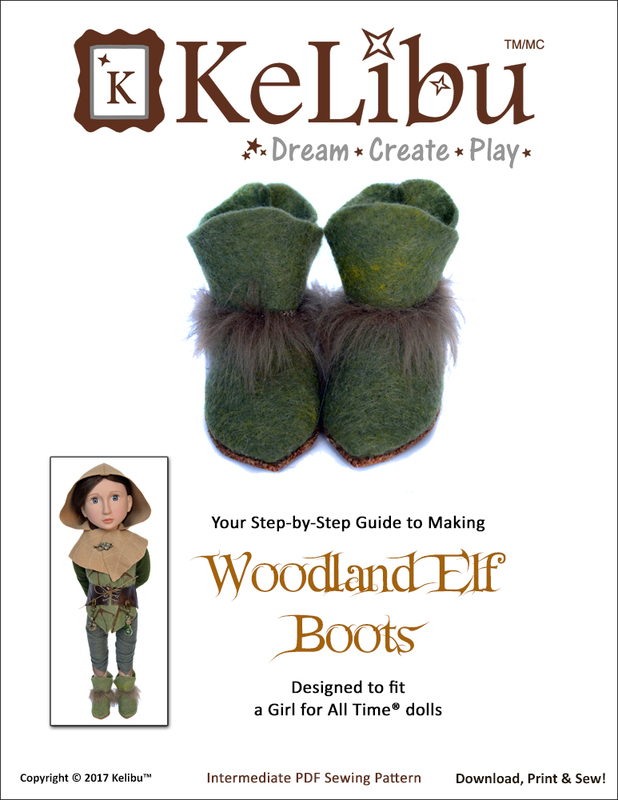 I have just published a resize of these boots for 18 inch dolls if you are interested. Answered by the admin Yes. 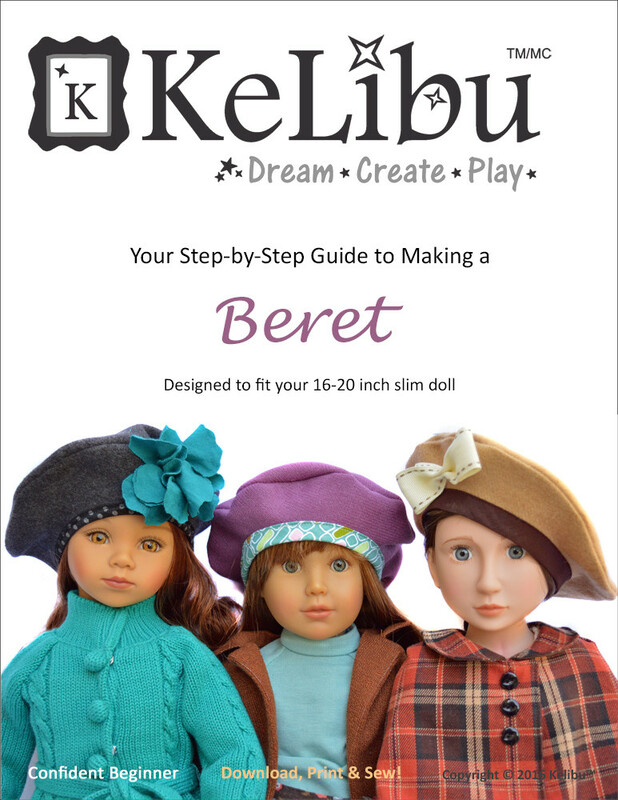 I am working on the resize for 18 inch dolls right now.